On Saturday, February 7, Cedar Creek Restaurant in Sequim will host a Winemaker Dinner showcasing the “Best of the Olympic Peninsula.” The French inspired menu will feature nine wines, each crafted by one of our seven award-winning wineries. 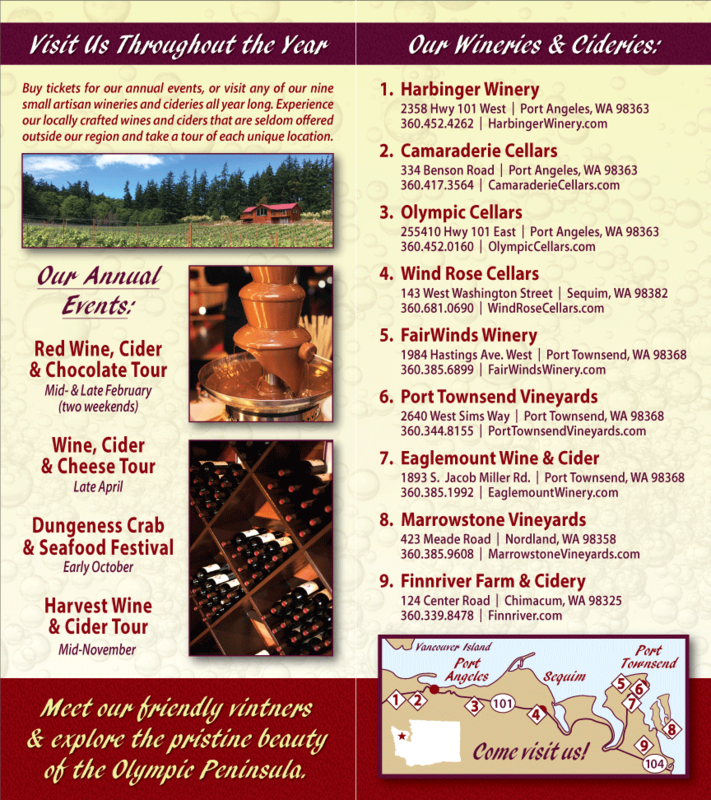 Timed to coincide with the annual Red Wine & Chocolate Tour, it’s the perfect way to wrap-up a day on the tasting trail! The four-course dinner will be served at 6 p.m. Tickets are $85 per person. For reservations, call 360.683.3983.